Sometimes the best way to get acquainted with a new language or a new technique is to watch someone else do it first, and then jump in to try for yourself. If you like to learn that way and are wanting to improve your Python skills, check out any of the training videos or video repositories below to start learning! 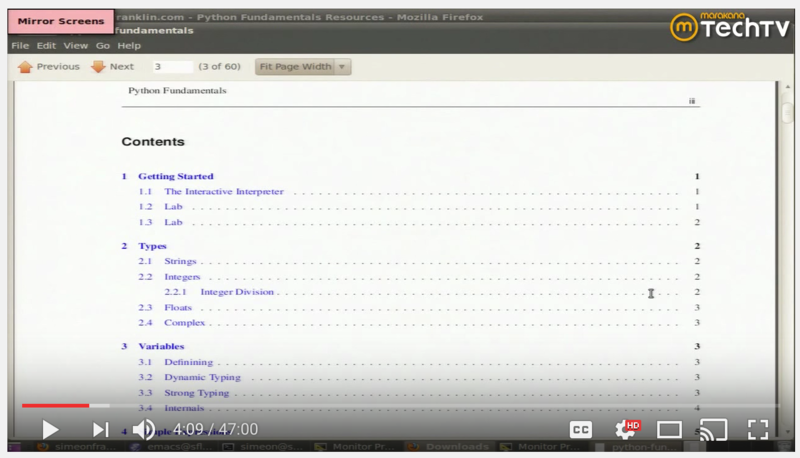 This popular video is hosted on YouTube and takes you through the basic fundamentals of Python. In the video, you learn about data types, variables, and other terms and concepts important to the OOP language. Besttechvideos.com hosts a bunch of Python videos, including this popular one that takes you through some advanced Python topics and concepts. Many of the videos have been uploaded from Python talks, events, or conferences. 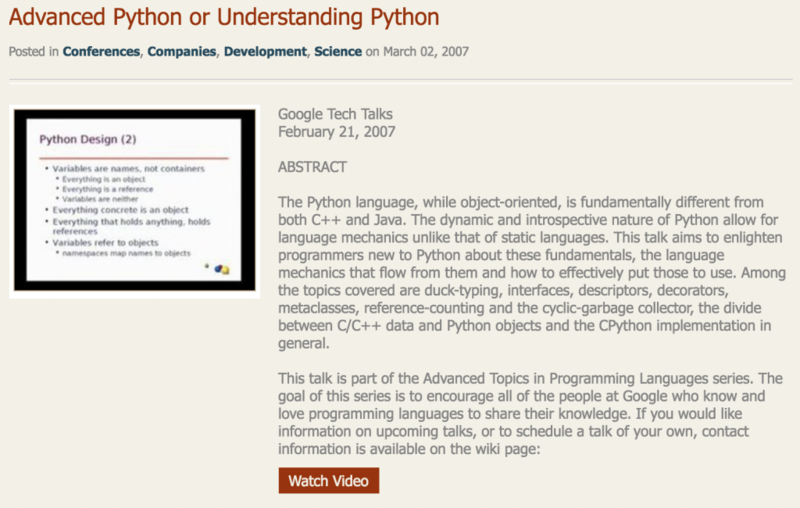 If you visit besttechvideos.com and search for the term "Python", you'll find dozens of videos for coders of any level to enjoy. PyVideo.org is an extensive repository of videos dedicated exclusively to exploring and teaching Python. Like with BestTechVideos, many of these videos are from popular Python conferences or talks. Take a look at the videos in their library to see how you can expand your knowledge of Python concepts and techniques, and even improve your Python coding skills from any level.